Brian H Waters: Is There Money in Naomi? At the conclusion of the third season of NXT, Naomi Knight came in second place, losing to from WWE Divas Champion Kaitlyn. When Brodus Clay was repacked into a dancing dinosaur, he was join by two Funkadactyls. Naomi, her last named was dropped, and Cameron. The two joined him at ringside every week and with them being very attractive females, Brodus Clay became must see TV. I wrote an article a month ago about how the gimmick can fail, but the valet's go over. During the summer of 2013, E! network began airing a show titled Total Divas. This reality based television show allowed Naomi and Cameron to get bigger than Clay. Since then the two have become WWE Divas on the main roster. Every has screamed for Namoi to become WWE Divas Champion, but the question is, can she make the company money? Who is Naomi? On Total Divas, Naomi became one of the bigger stars. Fans were able to see her chase the Divas Championship, her injury and recovery, her relationship with her father, her friendship and breakup from Cameron and eventually her marriage to Jimmy Uso. 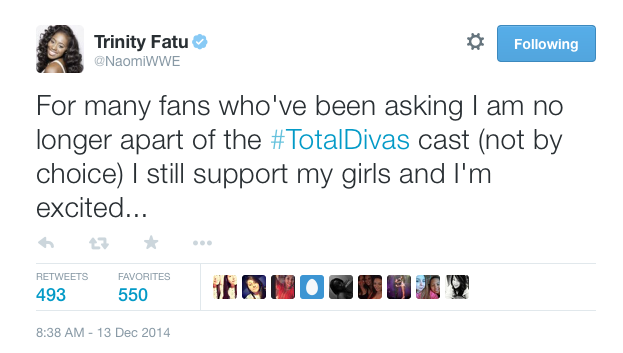 In December 2014, Naomi notified fans that she would no longer be on the show. Since leaving the Total Divas cast, Naomi's biggest program has been her feud with former tag partner Cameron. The two broke up when Cameron became jealous of the in ring success Naomi had after returning from an eye injury. Since that feud, her biggest program was with the Miz. But was that really her program? After all she was more of a distraction Usos, as Miz tried to promise her a movie deal and cause a rift in her marriage. In the end Usos got their titles back. The Usos eventually lost their titles to the team of Tyson Kidd and Cesaro. This program began when Naomi and her husband Jimmy were out to dinner with Natalya and her husband Kidd. After the fight between the two, this lead to Namoi and Natalya engaging in a few matches, including mixed title matches. But for Naomi, this still did not give her any identity nor did it lead to a Divas title match. Recently Naomi has pinned Nikki Bella on two occasions. However, the powers at be, did not feel that she was an automatic contender for the Divas title, therefore they set up a battle royal where the winner would be the number one contender. Naomi, lost to Paige, setting up Paige vs. Nikki Bella at Extreme Rules. After the match she attacked Paige, during her victory promo. Later that night, she explained that she was tired of getting looked over, and that she deserved at title shot. As we move forward, I continue to ask the question, is there money in Naomi. Now I usually do not discuss race, but I will make the exception for this one. When Cameron and Naomi came up to the main roster, I was excited. There were more black girls in the WWE. We have seen Alicia Fox as Divas champion, but lets be real, she does not really connect to the black male audience. Cameron has the attitude some black men desire, but Naomi has the body that every black male dreams of. She's athletic, and has a pretty face. She's the total package. Cameron is a model first, a wrestler second, but Naomi is the other way around. But what has she done to give herself an identity? 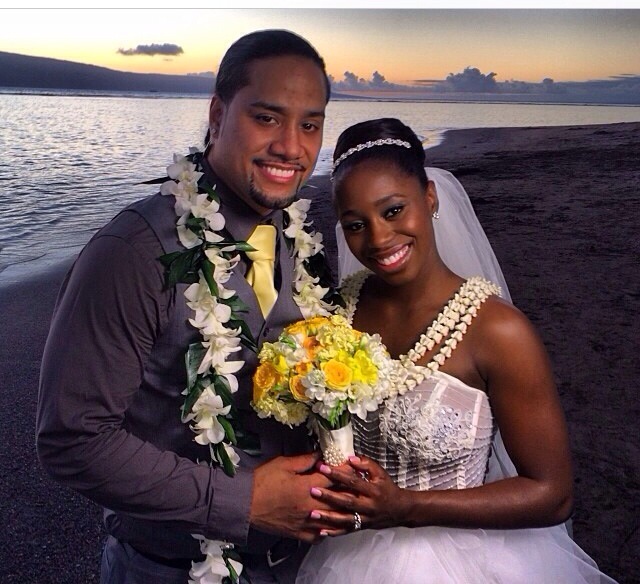 All I see is Jimmy Uso's wife. Let's look at some of WWE Divas. But what is Naomi? I have waited for someone like her to be in the WWE for a long time, but right now there is still a lot to be desired. Remember this is not the attitude era, you cannot just go there every night and reveal your body and get over, you need more skill. While I believe this is the best class of divas in a long time, there still needs to be some fine tuning in the divas division.